Talk of the Villages is a free website for all users with no membership fees. However, TOTV is supported by premium classifieds, paid advertisers, and sponsors and we encourage you to patronize or consider them in your next purchase(s) or service(s) you need. The following terms of service is a basis for all activities (including, but not limited to, the message boards, the guestbook, calendar, classifieds etc.) found on the Talk of the Villages website. Agreement to these guidelines provides that you are over the age of 21. Your registration of an account is an agreement to legally and socially comply with these terms of service. Failure to abide by these rules can result in the user account receiving infractions, suspension, or permanent ban. Talk of the Villages website is created to be an online community for The Villages Florida residents and those seeking information on The Villages Florida community and lifestyle. All views and opinions expressed are those of the author of the post/thread and not the owners of TalkoftheVillages.com and we will not be held responsible for the content of any message on the forum and are not a content publisher. Each member of TalkoftheVillages.com may have no more than one username/account. If you have trouble with your log-in or password, contact the website. Multiple accounts will be merged into one username account. If your account is suspended/banned you cannot re-register under a new user account or this will result in immediate suspension of the account. We suggest that you do not include your personal email address, phone numbers, or addresses within the content of your blog, posts, classified ads or username. This is to help you maintain your personal privacy and safety. You agree not to post any copyrighted material unless the copyright is owned by you or by the Talk of the Villages. This includes text, content, art or photos. It is recommended to insert a link to an article that you would like to reference as opposed to inserting the copy into your thread or post. You will not use this site to harass any other member of this site or infringe upon anyone’s enjoyment of the site. This includes using appropriate language or swearing, threatening or harassing other members, or creating obscene or disturbing content. Do not attempt to bypass the censor by misspelling inappropriate words. Such posts will be edited and your account will be subject to point infractions being issued and possible banning. Political discussion or references are strictly forbidden on Talk of the Villages and this would include but not be limited to mention of political parties, political individuals or any political topics. Moderators and Administrators retain the right to use their discretion and any politically related or implied thread or post will be removed. If a user continues to disregard this rule then the user account will be issued infractions/suspension. The community of Talk of the Villages is based upon "Florida’s Friendliest Retirement Hometown". You agree not to post messages or links, photos, or images that are obscene, profane, sexually explicit or descriptively graphics Posts with any sexual content should have a tone of maturity. It is intolerable to make any derogatory comments about any person based on religion, race, age, gender, etc. Please remember this is a large community with many members from all parts of the world, representing all people. Please refrain from posting messages that contain potential hot topics known as polarizing arguments. A tone of "kindness" is appreciated for all discussions. Talk of the Villages provides a free of charge classified section where you can list your personal items for sale. You must be a resident inside The Villages Florida to post an item for sale on TOTV. No commercial listing is allowed. Only your personal items can be listed for sale. All aged posts are automatically removed at the posted automatic deletion intervals from the website. No firearms or ammunition sales allowed. We don't allow sellers to list any drugs, medications, contacts, glasses, or medical devices that require a prescription from a licensed practitioner (such as a doctor, dentist, optometrist, or veterinarian). All items listed for sale must be by a current Village resident and the item located inside the Villages for pick up. There is a minimum of 5 days before you can repost the same item. You may post a personal recommendation or experiences that you have personally had the first hand but you cannot self promote your business or any commercial entity that you have any association with. Any posts that violate this guideline will be removed. Recommendations are more credible when you are an active participant on the site with at least 10 posts. For this reason please do not post a recommendation or experience with less than 10 posts as these may be removed. Talk of the Villages provides a free of charge Real Estate section where you can list your personal real estate for sale or for rent. You must be a resident inside The Villages Florida to post in this section and the property must be located inside The Villages. No commercial listing is allowed or listing for any property of which you are not the legal owner. The Ask the Expert Sections are free of charge and established by the administration of Talk of the Villages to provide the advice of a known expert in a specific field. Only the expert is to respond to a question posted in these sections. All responses not from the expert will be deleted. We allow you to add informational/educational links in reply to a support request thread only if the link goes to a non-commercial site. We ask you keep private conversations that appear to be "private conversations" in PM or IM so as not to exclude other members or imply a culture of cliques on the site. Please keep comments to the specific topic that was started. If you have another comment that is off topic please do not hijack the thread but please start a new one. The practice of making a post with the intent of bringing it back to the first page is referred to as "Bumping" of posts and this practice is not allowed on TOTV. ONLY in the classified section is this allowed one (1) time during the posting duration or with a price change. It is against board rules to invite, solicit or coerce others to join other community websites through posts, email, PM, use of Talk of the Villages membership list or any other resource within the Talk of the Villages website. Please note that advertisements, chain letters, pyramid schemes, and solicitations are inappropriate to personally post, send through PM, email or any other feature of the TalkoftheVillages.com website: message boards, blogs, gallery, etc. Further, please do not use hotlinks to link to this site's graphics. The staff of Talk of the Villages reserves the right to move your post from one forum category to another for the sole purpose of providing you with the best possible support for your needs. We believe it is important to keep your posts within the proper forum for your support needs as well as our visiting members reading. Additionally, please do not cross-post (posting the same message in more than one forum). Duplicate posts will be removed. Finally, moderators may close any thread at any time when it is deemed to be hopelessly off topic, too inflammatory, topic/question thoroughly answered, or information has become dated or debunked. The team of Talk of the Villages reserves the right to remove the posts and/or disable the account of any member who does not comply with these community guidelines or for any reason deemed appropriate by the administration or moderators for the good of the community and its safety. Requests for removal will entail removing personal data, location, avatar, etc,. to protect the privacy of the person but the member account will remain intact because of the nature of the threading of posts within the database. Moderators will not modify the content of any post. If any content is objectionable, the member will be advised, the post deleted, and the member will be invited to re-post without the objectionable content. Your signature should not contain links to any commercial website unless you are a paid advertiser or sponsor of Talk of the Villages. If you have a website you'd like to show off, please add it to your profile under "Home Page". Your signature also must NOT contain any political links, images, or other references. You agree to not discuss ongoing or pending lawsuits. You also agree not to use this website as a place to recruit others to help you in any legal action or data gathering for legal action. You agree that if you disagree with Talk of the Villages website policy or action of a staff member, you will not post public arguments or disagreements nor attempt to petition the owner/administration to change policy through posts, polls, email, PM or any other service found within the Talk of the Villages Website. If you disagree, you may respectfully email the ownership of Talk of the Villages. Although the Constitution of the US guarantees that Congress shall make no law abridging the freedom of speech, Talk of the Villages is not Congress. Freedom of speech rights do not extend to this privately owned website. The Rules and Guidelines of this website governs the behaviors and activities of the members. If you choose not to follow the guidelines agreed to during registration, the result is a disabling of your account. I have read, and agree to abide by the Talk of The Villages Florida rules. In order to be able to post messages on the Talk of The Villages Florida forums, you must first register. 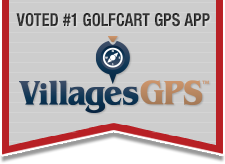 If you were referred to this site by an existing member of Talk of The Villages Florida, enter their username here.